Immerse yourself in understated elegance at Eden Garden. Spacious and stylish, each of our Resort rooms and suites feature contemporary furnishings and amenities, designed with your comfort in mind. For an enhanced stay, experience the luxury of our resort, offering views of the breathtaking Fort Kochi. Whether you unwind with city views in our impressive Panoramic Rooms or opt for additional space in one of our thoughtfully-designed Suites, our resort rooms and suites offer the perfect setting to begin and end your day. 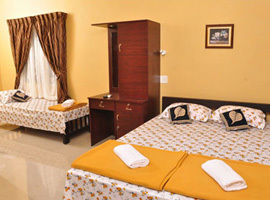 Come and experience our hospitality and fuss-free stay at Eden Garden Resort. Relax in a Standard Room at Eden Garden, complete with the choice of a king-sized bed or twin beds, complimentary services and premium in-room amenities. Designed for discerning guests, each of our room and suite will cater your every need, Experience the special touch of the Resort. Relax in a Standard Room at Resort, complete with the choice of a king-sized bed or twin beds, complimentary services and premium in-room amenities. Designed for discerning guests, each of our room and suite will cater your every need, Experience the special touch of the Resort. 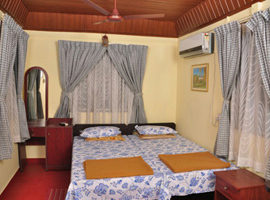 Eden Garden Heritage Homestay is resting amidst 50 Cents of vibrant greenery in the old town of Fort Kochi,Fort Kochi is the heritage town in the Gods own country with a lot to learn and search for the travellers and enthusiasts at once walking hand in hand with the traditions as well as history. 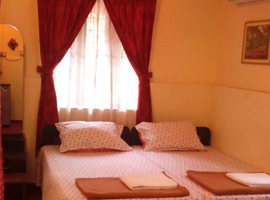 Eden Garden is a beautiful homestay that offers a serene and sublime atmosphere to tired minds and bodies Surrounded by trees and landscaped gardens.Over the time, our people have built an unrivalled depth of reliability, trust and connection with our guests – a connection we will steadfastly uphold, now and always. Come experience Clirind and join our extended family.. 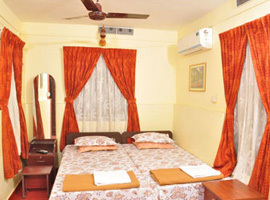 The second you confirm your reservation at Eden Garden, Skilled and trained in the fine art of preferential service, our team will contact you before you arrive to help fashion your stay to fulfill your every preference, so that every moment of your vacation at one of the best resorts in Fort Kochi is custom-crafted.